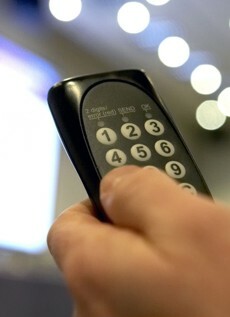 To help our Interactive Presenter Event Service clients and our systems users, we have prepared a guide to the range and scope of questions that can be used with the Interactive Presenter. It comes in two parts. 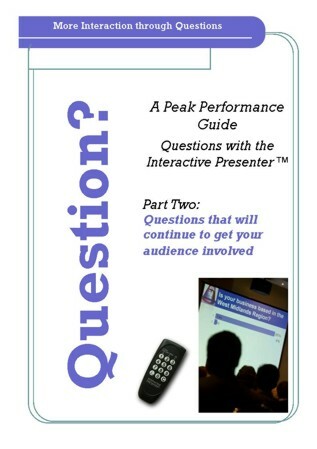 Both are highly graphically with examples of question screens developed for past presentations. This covers the sort of questions you might ask at the start of an Interactive Presenter presentation - including practice and background questions. Download this part of the guide - which is in.PDF format by clicking of the graphic of it below. Part Two: Questions that will continue to get your audience involved. You can read and save this .PDF which is just under 3MB by clicking on the graphic of its cover page below.